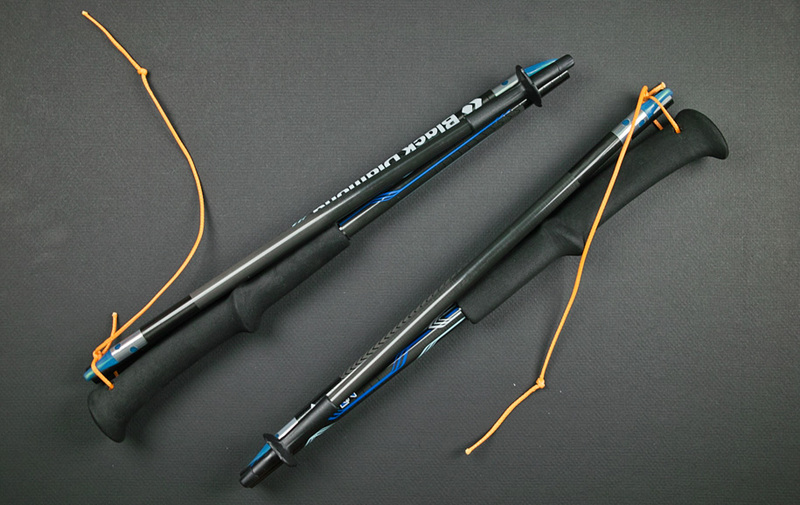 Black Diamond Ultra Distance Trekking Pole – 入左手未? 100/33cm(260g), 110/36.5cm(265g), 120/3.5cm(270g) and 130/43cm(275g). I got a pair of 120cm. 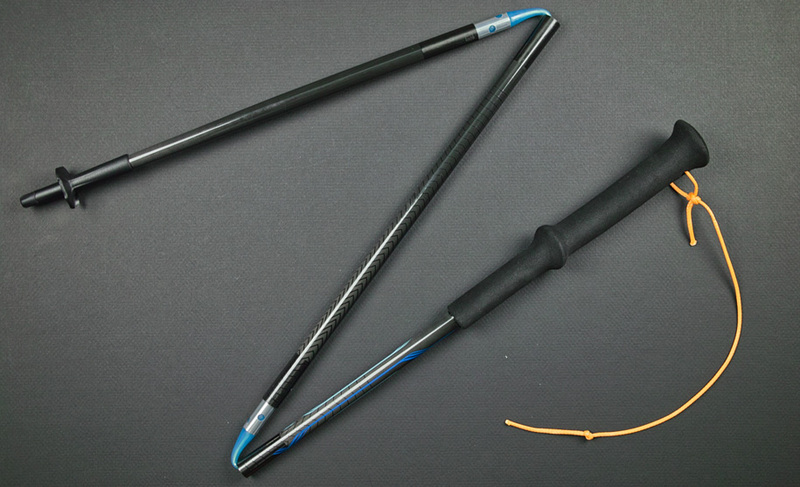 What’s included, the Z-pole come with interchangeable nonmarking rubber tips(4g), carbide tips(6g) and a stow bag(16g). 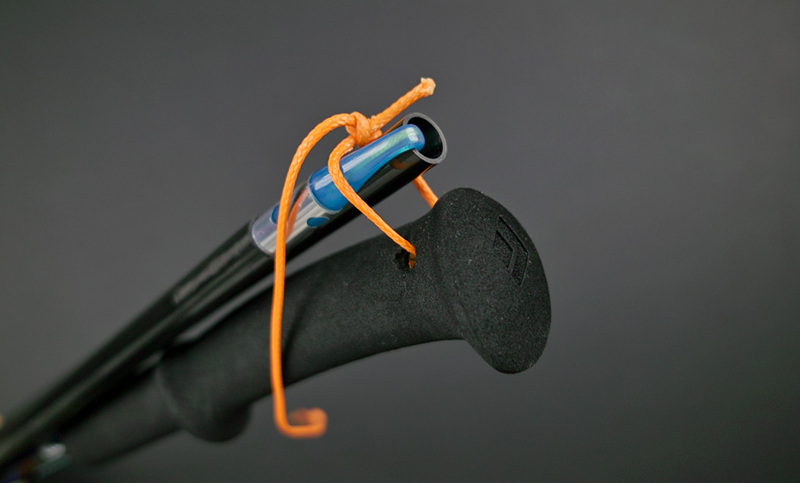 I had replace the strap(16g) with a 2mm dyneema guywire(1g) and with rubber tips on it. The total weight become 124g each! It’s really really light for a pole weight 124g and I love the pack size too(collapsed length: only 40cm). For this pack size, I can pack it into my day pack and very easy pack it outside the backpack without concern, even you traveling in the urban city like Hong Kong. Yes! 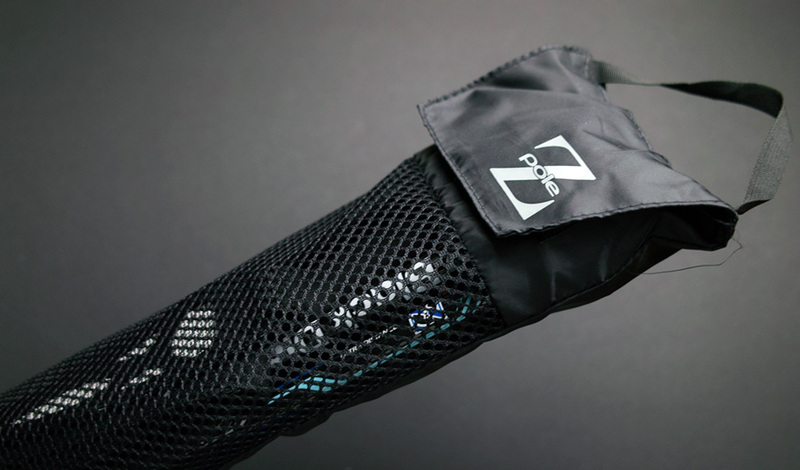 As you can see the “Z” above, the Ultra Distance is only one of in the Z-Pole series. The pole divided into 3 sections and connected with a guyline inside. Setup the pole is fast and easy, just straightern the pole and there are a lock on the first pole section, it will lock the pole in position! Collapse it just pressing the lock button and folding the pole. Details: A video instruction from BPL, about the pole on YouTube. The 3 pole sections connected with original strap. 2-3, How the 3rd pole section connect with the 2nd pole section. 6, The strap weight 12g each. How’s the strap connect to the pole? 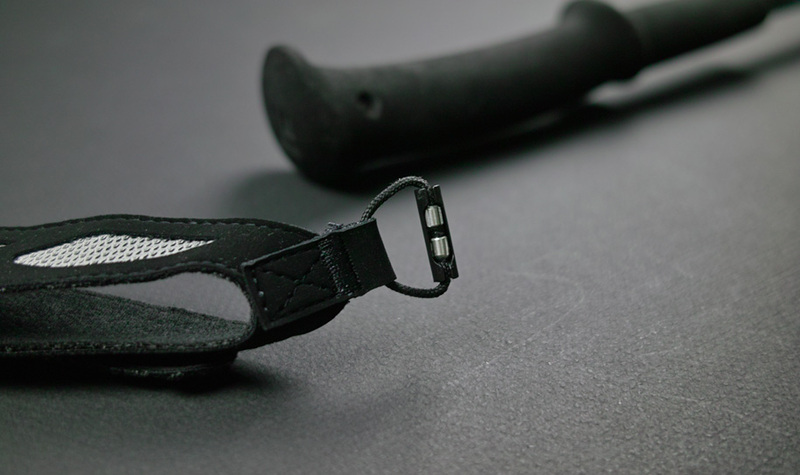 The straps are quite clean design and light, actually it’s not bad. But for easy hiking I will take it out to save more weight and in terms of beauty I don’t really like a straps on the pole and the black colors. So replace it with a orange guywire. For serious hike I think I will use the original straps. Finally this the stow bag included and it’s around 16g. – Buy at: Available in most of the outdoor shop in Hong Kong. 推薦攀山，好價! Hi, good summary and comment. Thanks. I am actually looking for 110cm, but they are all out of stock in the market. If you know any shop which is available. Pls let me know. Thanks. How did you remove the straps? Mine were installed upside down ! and need flick them around. I was worried that I might damage the pole, but you seemed to have done it.